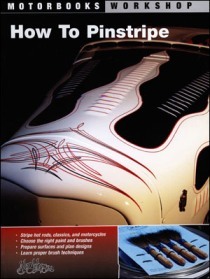 Filled with over 200 high quality hand-painted designs and color photos, Todd Hanson, with over 30 years experience and longtime contributor to SignCraft Magazine, writes a smart and easy to understand, informative approach to pinstriping. 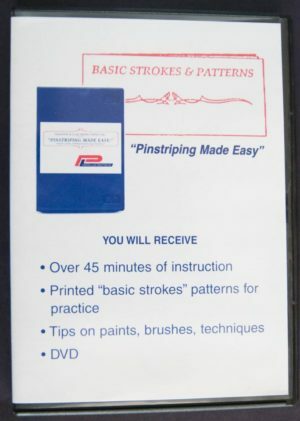 Divided into 3 sections, the instruction section offers insight into things such as, trimming a brush, mixing paint, and features a step by step on how to build a design. The instruction section focuses on design theory to help you gain the proper and necessary knowledge to build quality designs. 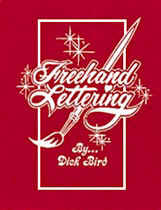 The design section features 34 pages of hand-painted designs for practice and inspiration. 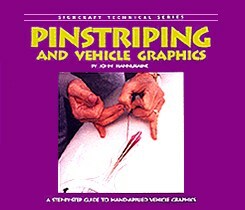 And finally the all-color photo section allows the reader to see finished pinstriping designs on various objects such as hot rods, trucks, motorcycles, gas pumps, and panels. 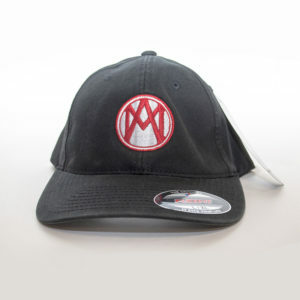 128 one-sided pages in an 8 1/2" X 11" format with many pages of pinstripe designs, scrolls and tribals printed on quality lazer paper and spiral bound to simplify copying. 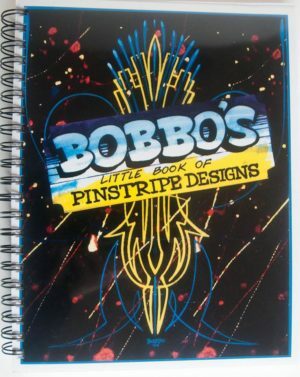 Being one of the original pinstripers and custom painters in the 50's and at the request of many pinstripers he has put over 51 years of thought and design in this book. And some pages have multiple designs and many of the designs are his famous one-line designs he calls "ONE LINERS", (one continuous line). An exceptional aid for beginners and professionals who have imagination brain freeze and need an imagination boost. 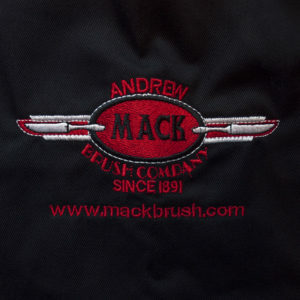 Since the days of Von Dutch, hot rod and motorcycle enthusiasts have used pinstripes both as stand-alone art, and as a compliment to a flame or graphic paint job. 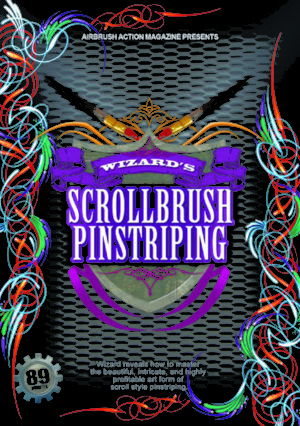 Timothy Remus uses over 500 color images to present the work of 11 well-known pinstripe artists. 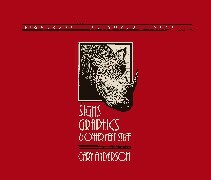 Each chapter presents one start-to-finish project and an interview with the artist. 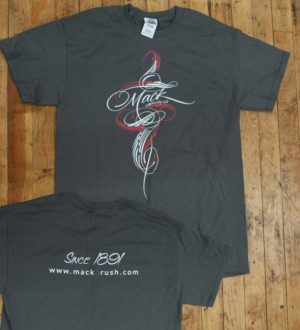 The photo sequences take the viewer from the initial sketch to the finished design. Text explains each step of the artwork, the interviews explain the artist's choice for paint and brushes. 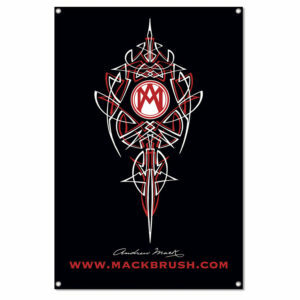 The artwork, often complimented with gold leaf or airbrush colors, is done on panels as well as various vehicles and components. 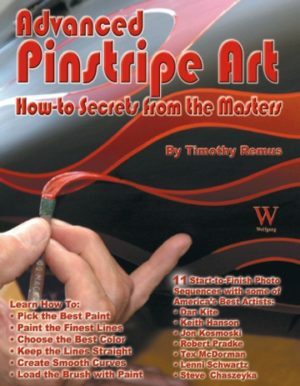 Advanced Pinstripe Art brings the reader into the shop of some of this country's best pinstripe artists, for an intense and intimate how-to lesson. 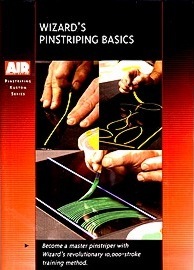 This is pinstripe school, taught by masters, brought to your own home or shop. 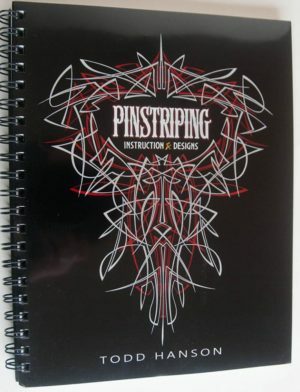 This book guides you through a basic pinstriping and a simple long-line project, and covers the skills you need to create your own unique designs. 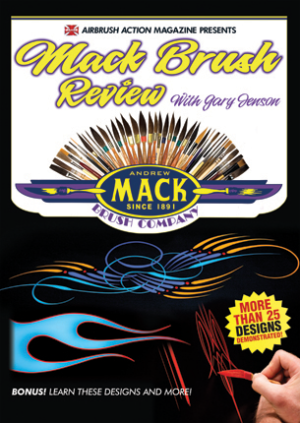 It also features step-by-step color photos that detail splatter and dry brush effects, sponge-applied graphics, cartoons and much more. 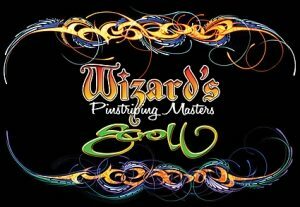 Pinstriping Masters-Techniques, Tricks, & Special F/X for Laying Down the Line features how-to's and photo galleries from 28 of the top pinstripers in the world. 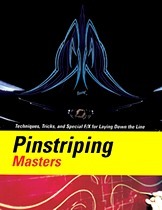 Pinstriping Masters, 160-pages and full-color, is the best book ever published on the subject. 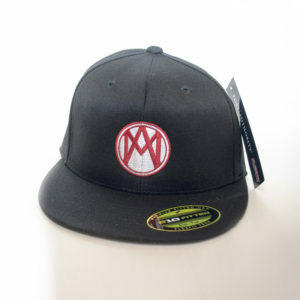 Among the artists featured are: Bob Bond, Wizard, Craig Fraser, Makoto, E-Dog, Mr. J., Von Franco, and Mike Lavalee. 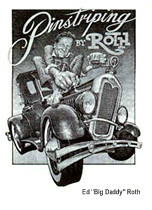 Travel back into the 50's with a pioneer of pinstriping, Ed Roth. 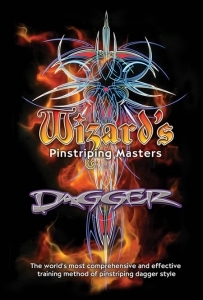 His insights and instructions will give you much of what you need to know about being a pinstriper of the year 2000 and beyond! 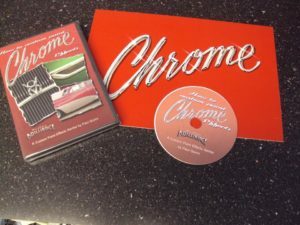 Lots of anecdotes and info from a great artist in the field of automotive art. 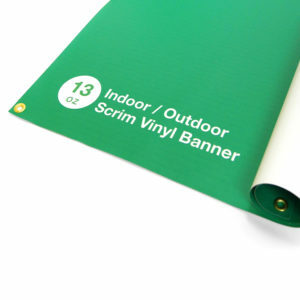 Soft cover 5 1/2 by 8 1/2 inches 43 pages. Companion book to the other one by Ed Roth, we suggest getting both. 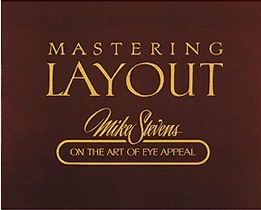 Soft cover 5 1/2 by 8 1/2 inches 38 pages. Richly illustrated with many demonstration photos, charts, alphabets and trade secrets. 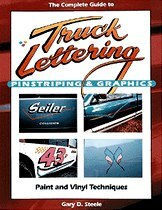 This carefully written book by a master craftsman with a lettering brush gives your customers a professional insight into the life of a lettering artist as well as guiding them through techniques, letter-styles, brushes, paints and supplies. The art of eye appeal gets everything going. Top sign designers have long recognized that technical skills and tricks may be worthless without first developing a strong layout. 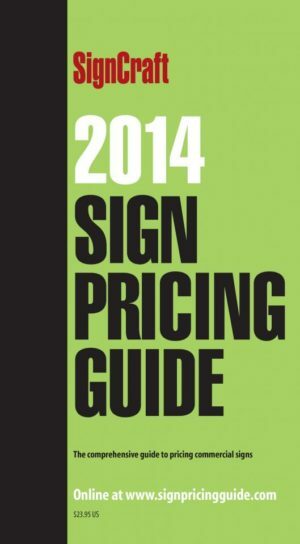 The book covers design theories and analytical skills that can be applied to any project, not just signs. 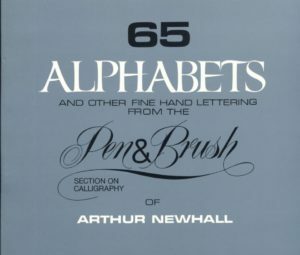 Includes over 80 illustrations and 13 hand-lettered alphabets. 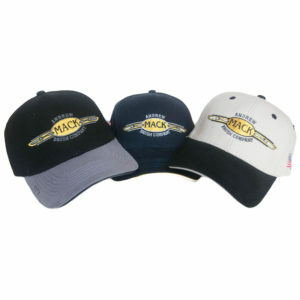 It also discusses format, copy, and appropriate images. 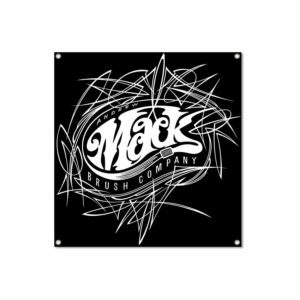 Every creative sign maker has the potential to design - and sell - effective logos for the businesses they make signs for every day. Learn Dan Antonelli's straight- forward approach to creating and marketing effective, appealing logos-and see over 120 full-color examples. 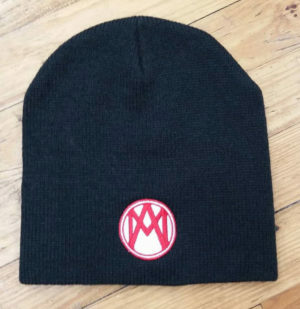 Designing logos is more profitable than you think. This thorough sourcebook details the art of gilding with step-by-step instructions and profuse illustrations, covering both the basics of handling gold leaf as well as advanced techniques and applications. It carefully explains the basic procedures for creating gold leaf window signs - from layout, pounce patterns and gilding, to backing up, finishing and varnishing. 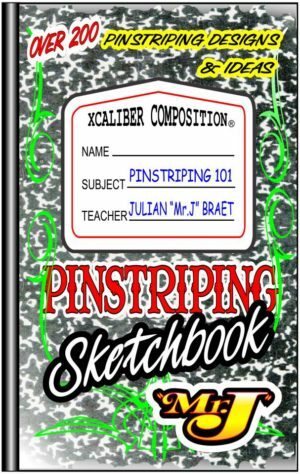 The Xcaliber corporation announces a great new book (the first in a series) by the world famous Julian "Mr.J" Braet. 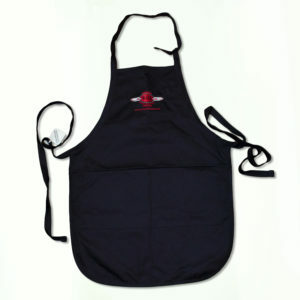 At 5x7, Mr. J's Sketchbook and makes a great addition to any Pinstriper's tool box. 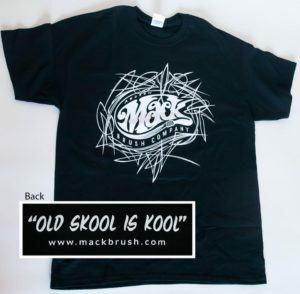 How many of us have been on the road or in your shop trying to come up with some new striping design(s),well now all you need to do is open up your "sketchbook" & use some of the sketches & ideas. 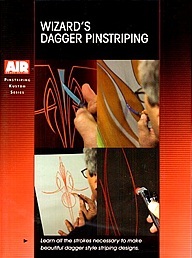 The book contains over 200 hand drawn pinstriping ideas & sketches. These sketches can be scanned, copied, enlarged & used as a pattern for hand painted pinstriping designs. 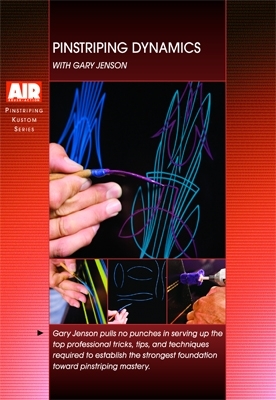 The book contains sections on how to use the "sketches", create multiple designs from a single design, supplies, etc. 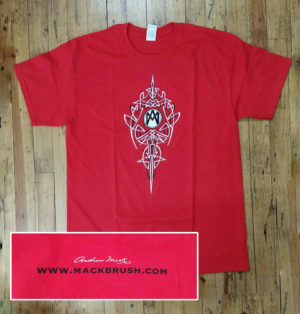 If you've been doodling monster sketches on napkins and scratch paper since fourth grade, this is your chance to take those skills up a notch. Let Paul "Imperial" Ledney and Chad Scheres show you first hand how to create everything from Frankenstein to an Ed-Roth-style hot rod duck driving a crazy Impala. Sequential photos by the authors take you through the process of creating believable monsters, one step at a time. Paul and Chad discuss not just technique, but also the tools they use and where they find inspiration and ideas. More than just learning to sketch, paint and illustrate, the book also explains the process of casting monsters in three dimensions. 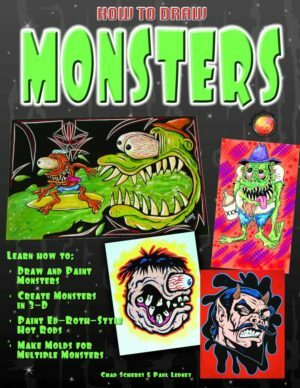 With over 400 photos spread across 144 pages, How to Draw Monsters is like being invited into the studios of two very experienced and well-known artists with combined backgrounds in pinstriping, illustration, screen printing and casting.